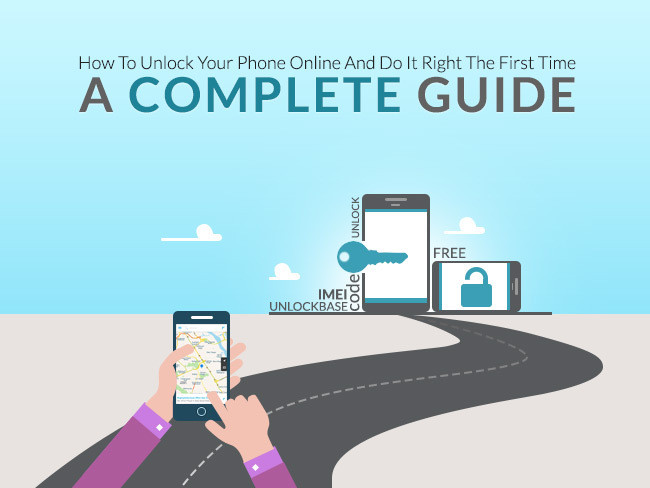 A Complete Guide on How To Unlock Your Phone Online - And Do It Right the First Time! A Complete Guide on How To Unlock Your Phone Online – And Do It Right the First Time! Thinking of unlocking your phone? Worried about getting scammed? Worried that it wouldn’t work? If you are looking for places that unlock phones then you’re in one! Asking Google about “cell phone unlock near me” will give you the local tech guys’ social media page, website, or store location. It’s probably a good choice but it takes a lot of energy and time to go to a store and more importantly, it’s probably going to cost you more than what you’d originally expected. Looking for a legitimate unlock phone store is also difficult to find nowadays especially that more and more people are being victimized by paying people for service they no longer see the next day. Of course, unlocking your phone with your carrier is probably not free (even when you’re already out of contract) so you’re left with no other choice but to unlock it through online unlocking services. Good news! You are at the right place. UnlockBase is one of the largest mobile sim unlocking service providers all over the world. And yes, we serve everyone around the globe. We have over ten thousand customer reviews from third-party review sites and we have been in this business since 2004. If you are looking for a reliable, fast, easy, and affordable way to unlock your phone safely, then we’re exactly what you’re looking for! Now, before we move forward and unlock your phone, let’s go through a few things you need to remember when unlocking your phone with us. Is Unlocking Your Phone Legal? Yes, it is legal. For most countries, unlocking your phone is a legal thing to do and if you are from North and South America, or the UK, you’re free to do so. However, there are restrictions as to how much you can go with a phone. For example, unblocking a blacklisted phone is not legal and will for sure get the Five-O waiting on your front porch. But what if you, unfortunately, bought a blacklisted phone does that mean you can’t use it forever? The answer is no. You can still unlock your phone but you can’t unblock it. Unlocking is different from unblocking and there are probably several phone locks applied to your phone, depending on the manufacturer and your carrier. We will go through cellphone lock types 101 in a second, but to explain that briefly, unblocking a blacklisted cell phone is like changing the phone’s IMEI (a.k.a Serial number) so it can bypass the security lines that service providers used to prevent it from using their networks. That being said, it should be clear to you that blacklisted phones can’t be used in any service provider unless you get out of your country and use it elsewhere. You can SIM UNLOCK a blacklisted phone but you can’t UNBLOCK IT. Despite the fact that we can unlock a blacklisted phone, the catch is that it is impossible to use it in the country where the original carrier resides. You can’t use it on any network. They don’t like sharing customers but they share access to the official blacklisted cell phones to prevent anyone, who got the phone through illegal means, from using their network. That’s how they protect their consumers who are not only prey from phone theft but also of identity theft. When your phone has an unpaid balance of its postpaid carrier. Yes, number 2 still happens so if you have plans on quitting your current carrier without paying the remaining device balance, you’ve got to think again. There are several phone lock types and they are can be confusing at times on which one to use. You should be aware that most of the phones have several lock levels applied and it is important to know which lock is applied so you can enter the correct code. It is also important to note that you will need to know how many remaining unlock attempts is left for us to unlock your phone. We usually ask you to conduct this before completing your order because it helps us gauge whether it is possible for us to unlock your phone or not. 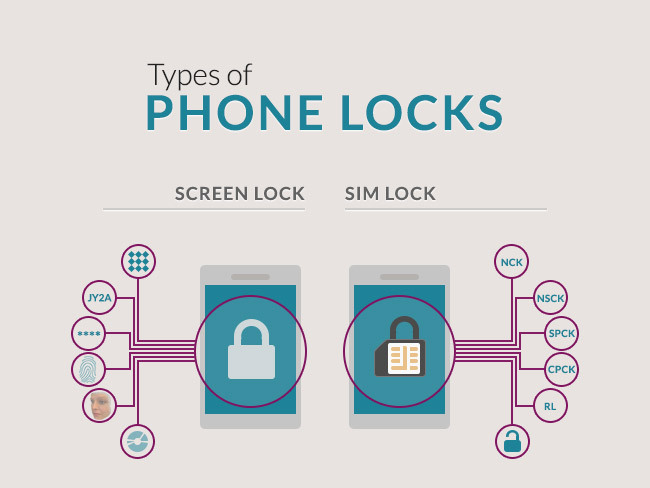 We’ll dive deeper on that later, but here are the types of locks and lock levels that may be applied to your phone. This is your personal lock to restrict access to your phone. The screen lock does not allow any user to access your phone’s data unless they get past through it. Who knows your screen lock? None, but you or anyone you entrusted the key to. You have personally set the screen lock, it could be a pattern, a word or mixed series of letters and numbers, or simply a pin. It could also be your fingerprint, face or Iris ID. We’ve encountered so many customers ask us for locks that they themselves have set. We want to help but we don’t provide that type of service. If you’ve forgotten your screen lock key, you might need to find a different service provider for that matter. There are a lot of online resources that will teach you to get past through the lock screen. If you have an Android phone and you’ve forgotten your lock key or just kept getting errors, you can try these steps 7 ways to Bypass Android Screen lock. Hope you make it through! SIM Lock is also known as Network Lock it is a lock set by your service provider or carrier, and this enables them to restrict your phone’s connectivity only to their network. This happens when you bought the phone under a 2-year plan, or if you have purchased a phone to one of their stores. If you have purchased the phone outright, it will still be locked to them and chances are you will have to activate the phone first by using their service for a set period of time. If you don’t use their service, there’s a possibility that the unlock code may not work so it is important to use their network at least once to activate your phone. Once you have already activated the phone, you can now unlock it with us. There are several types of SIM lock and it depends on each brand and carrier, and unlocking an LG phone may be different from a Samsung phone. NCK- Network Lock, restricts the phone connectivity to one carrier only. NSCK- Network Subset Lock, restricts the phone to use a network subset, meaning your phone will only work with a select designated subset of SIM cards within the network. CPCK- Corporate provider lock restricts the phone to use a designated subset of SIM cards within the network which is commonly provided by a corporation to its employees or customers. This lock is usually applied when your mobile device was provided by your company. Region Lock- you don’t see this often but Region Lock as the term suggests restricts your phone to be of use to a specific area or country only. Samsung for example, apply this lock so that phones made for Europe can only be used for European carriers. Nonetheless, simply activate the phone by using any European carrier at least once or use the original carrier you bought it from, and the region-lock is removed. 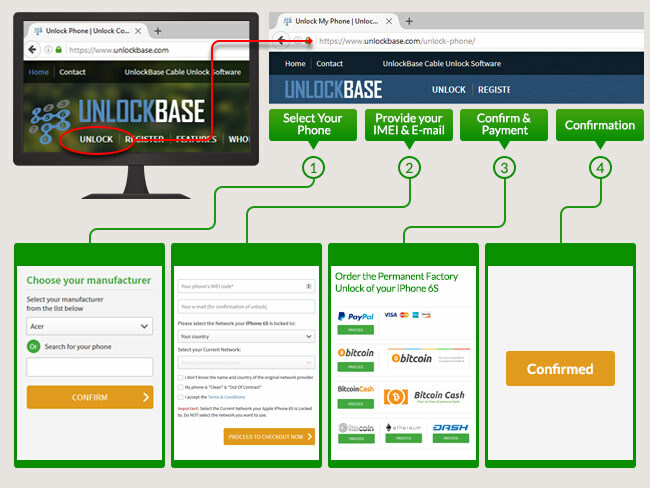 UnlockBase offers a fast and easy unlock solution to all your mobile devices. We also offer the most affordable pricing for all our unlock services in any brand, and yes, you can get your phone permanently SIM unlocked for as low as 5 bucks! If what we offer is nowhere near your expectations or if you found a competitor offer that’s lower than what we do, we’ll gladly match that. How would you like a free permanent unlock code? Check this out>> UnlockBase Free Code. We have a customer-based YouTube channel and most of our videos were created by our customers who were taping the actual unlock process. You may find a device the same with yours in one of the videos on our channel. Feel free to check it out for your guidance. Nonetheless, you don’t need to sweat it out to get your phone unlocked. The process is fairly easy. It wouldn’t be a scene in a computer lab, but we’re going to need a few details about your phone so we can get the unlock code for you. There are phones that may ask more than that, but granted the phone that you have are after 2015, that should be everything you need. So how you do find the IMEI? And what is the IMEI? 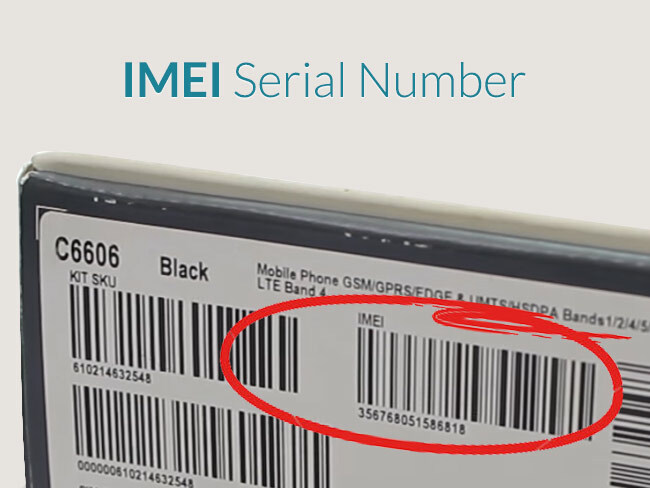 The IMEI is your phone’s serial number and IMEI stands for International Mobile Equipment Identity. That’s what we use to calculate the correct unlock code specifically for your mobile device. Here’s how you get it. Go to https://www.unlockbase.com/ (insert image of our homepage). Go to Unlock (please add red arrow on the Unlock button). Choose your phone’s brand or manufacturer. Choose your phone’s model number. Type in your IMEI code, email, and choose your carrier. You will then be lead to secure payment page (yup it has HTTPS so it’s secured guys). Please read our “Eligibility Instructions” before you head on to “Confirm My Order“ button. Wait for our email payment confirmation. Now before you do that, please double check all the information you enter. Again, make sure your phone is not blacklisted and choose your carrier carefully. (You can read about Blacklisted phones here). As mentioned earlier, your phone’s carrier/service provider may blacklist your phone if you quit your plan without paying off the remaining device balance. Unlocking a blacklisted phone is possible, but you might still not be able to use it anyway. In addition to that, entering a wrong IMEI number will be a ground to remove your eligibility for a refund. Yes, we offer a 100% money back guarantee, but there are eligibility grounds that we will be discussing on the latter part of this article. After confirming your order with us, you will be given a turn around time that will be based on your phone brand and you carrier. If you already received our email for your unlock code/s (yes, because we provide you all the code you need), you can now proceed on entering the code to your device. Alert! If your phone is from T-Mobile or MetroPCS please check the Official Android Mobile Device Unlock App Guide. T-Mobile and MetroPCS pre-install the Mobile Device Unlock App to all of their phones to make the unlock process easier for their customers. For T-Mobile, it gives the customer the option to unlock their phone temporarily so they can use it when travelling, but it lasts for a certain period of time only and they only allow up to 3 temporary unlocks for a year. You also need to have a good standing account for you to take advantage of this. But you don’t have to deal with that, because here at UnlockBase, you can have your T-Mobile or MetroPCS phone permanently unlocked! Insert a non-carrier SIM. Remove phone’s back cover and battery if you need to. Enter the corresponding code carefully. Remember some phones become “frozen” or “hard locked” if you have used up all the remaining unlock attempts, so enter it right the first time. Your phone will give you a successful unlock confirmation. It should be that easy. 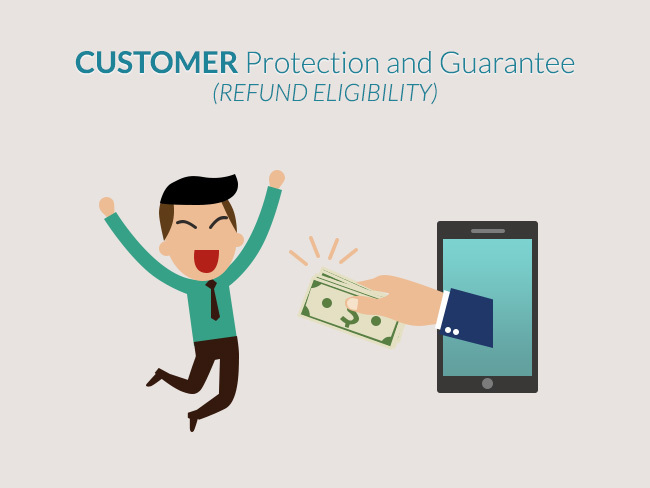 As mentioned earlier there are eligibility rules that we adhere to before we process a refund. Do note that before you confirm your order, we lead you to our Eligibility Requirements page so you will know the necessary conditions for us to unlock your phone. Make sure your phone is not running a CUSTOM ROM or its original manufacturer software/ firmware. Our unlock codes may not work with your phone if it is using a different software. If you don’t know if your phone is running a CUSTOM ROM, simply go to Settings > About Phone > Software Information > Android Version. Each phone/tablet brand have different unlock code entry instructions and we have created online resources that is complete with all the details on how to unlock them. Consider looking at them first before paying for our service. Also try to first a non- carrier sim on your phone for you to check if it automatically prompts you for a sim unlock code before you enter the interface. If you can’t access the page by any chance, please do not proceed with your order. We DO NOT UNLOCK CDMA PHONES, if you got your device from Verizon, Sprint, Tracfone or from any CDMA network, we will not be able to unlock it. We only unlock GSM phones. Make sure your phone doesn’t have a Mobile Device Unlock App because if it does the unlock code we have generated for it will never work. T-Mobile and MetroPCS pre-install this to all of their devices. As mentioned earlier, we have a different process for this and it will not involve any unlock code. Our services are limited only to unlocking your phone and we do not support nor tweak any other setting on your phone after being able to successfully unlock it. Setting “APN” (Access Point Name” is not part of our support and you can call your new carrier’s tech support to help you set it up. We do not have any “Unblocking” service and your Blacklisted phone will not be able to connect to any network. Even if it is already SIM unlocked, it is still in the global blacklist database and that prevents it from using any network. Take note that we can no longer cancel your order once you Confirm your order, and you will be given a set turnaround time. Even if there was any unlikely reasonable delay, we will be unable to cancel it. Once we have sent your information to our suppliers (yes, we work with people/ carriers from all over the globe) all orders are considered final. 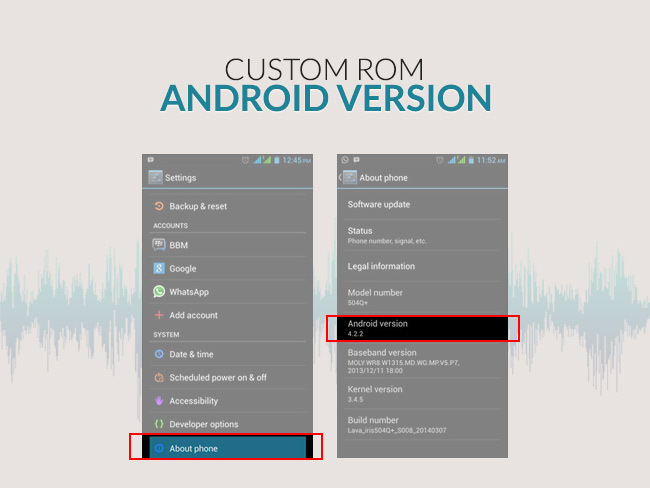 If your phone is running its original ROM you will see the Android version of the phone as it is. On the other hand, phones running a Custom ROM will have the signature of the developer, and the most common android OS developers are: CyanogenMod, Paranoid Android, Cataclysm, Dirty Unicorns, etc. If you also notice your phone having a different software interface compared to the original, then it must be running a custom OS. You may need to flash the STOCK ROM (another term for the original software) on your device. If you have agreed to all of the above conditions, we will not be able to process you a refund if the reason for the unsuccessful unlock is because of any of the existing conditions. So, there you go. That’s about it. Unlocking your phone should be easy and convenient. You can check our wholesale and retail page for you to check the average turnaround time for each order. Is there anything we missed? Please feel free to leave a comment. If you need help, don’t hesitate to shoot us a message. We have email and chat support that are ready to cater your questions any time of the day!